Spring Happenings at the IAMLA!! In July of 2018, the IAMLA received important funding from the State of California. 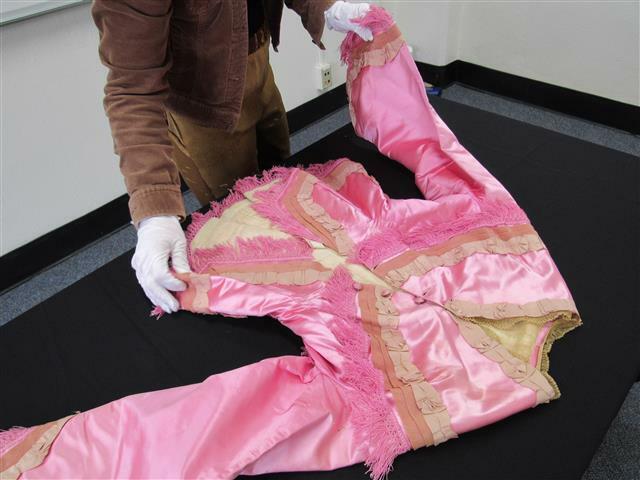 Former Governor Jerry Brown signed the state budget, which included a $250,000 allocation from State Senator Anthony Portantino for the Italian American Museum of Los Angeles. Senator Portantino, a proud Italian American, is the author of State Resolutions Commemorating Italian American Heritage in California, and is a long-time supporter of the IAMLA. 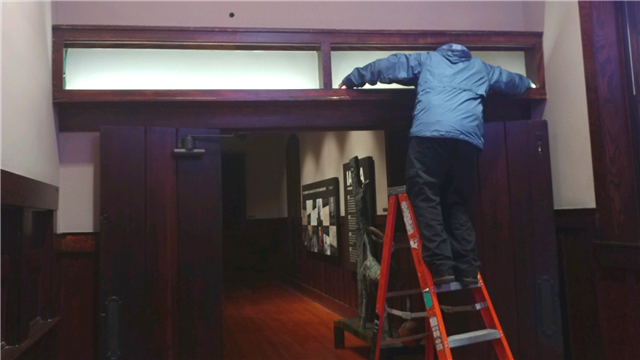 Restoration of historic lightbox at entrance to permanent exhibition wing. who was married in Sicily. A recent acquisition to the IAMLA's collection. MORE EXCITING DEVELOPMENTS TO COME!!! Project Assistant Anastasia Pineschi cataloging a recent acquisition to the IAMLA's collection. 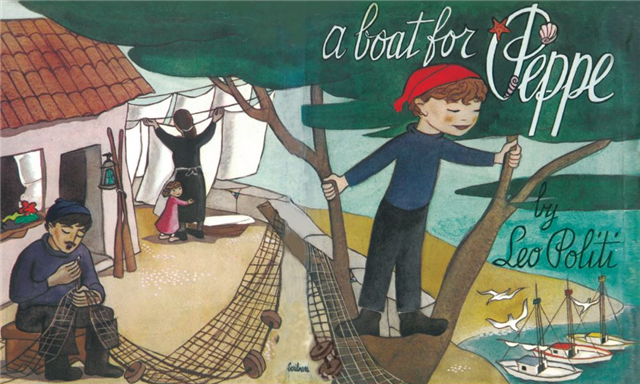 invites you to a reading of Leo Politi's A Boat for Peppe. A fun afternoon for the entire family! 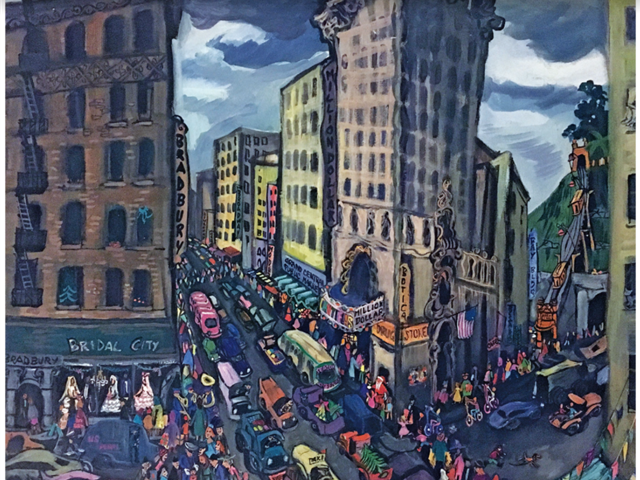 For most of his artistic career, Los Angeles served as Politi’s muse. He consistently demonstrated a love for the region’s diverse cultures and a reverence for its history. Politi’s work proves truly avant garde in that it predated the multicultural movement by decades. During a time when many historic neighborhoods were being erased or transformed, Politi was among the lone advocates of preservation. He captured Los Angeles enclaves, landmarks, and communities in his art and writing, suspending them in time. Through a series of rarely exhibited works spanning sixty years, Leo Politi’s Los Angeles: Works of Love and Protest transports audiences to bygone eras—Watts in the late 1960s, and San Pedro during the apex of the fishing industry—along with forever altered places, including the forgotten neighborhood of Bunker Hill, and World War II-era downtown Los Angeles. Visitors will be able to view the exhibition during the book reading. and communities that make up Los Angeles County for a time capsule to be sealed inside the Fort Moore Pioneer Memorial for a future generation to discover. 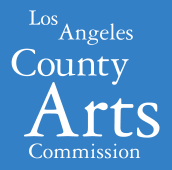 This call is open to all residents of Los Angeles County, and entrants may submit an idea as either an individual or a group. Special Events and Marketing Internship! 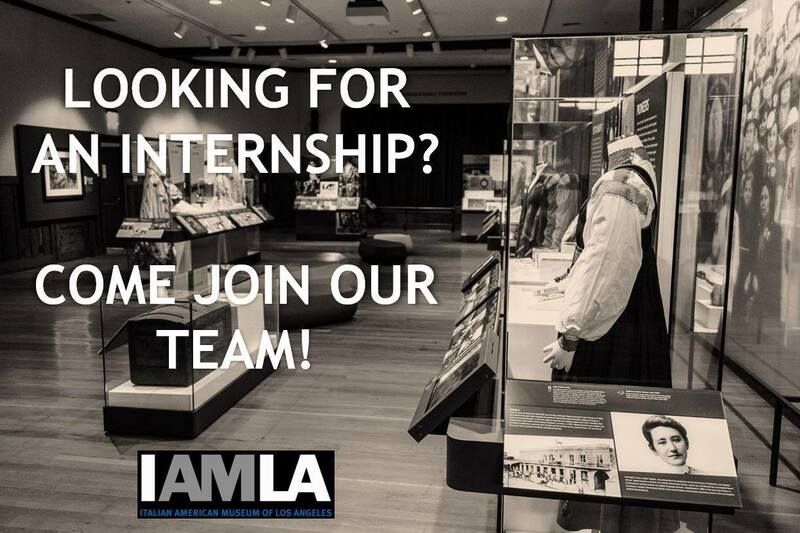 The IAMLA seeks qualified undergraduate or graduate students in the fields of Public Relations, Marketing, Communications, and other relevant areas of study to serve as a Special Events Intern. This position will assist with the planning, organization and coordination of IAMLA events, including the annual Taste of Italy. For more information, click here or call (213) 485-8432. 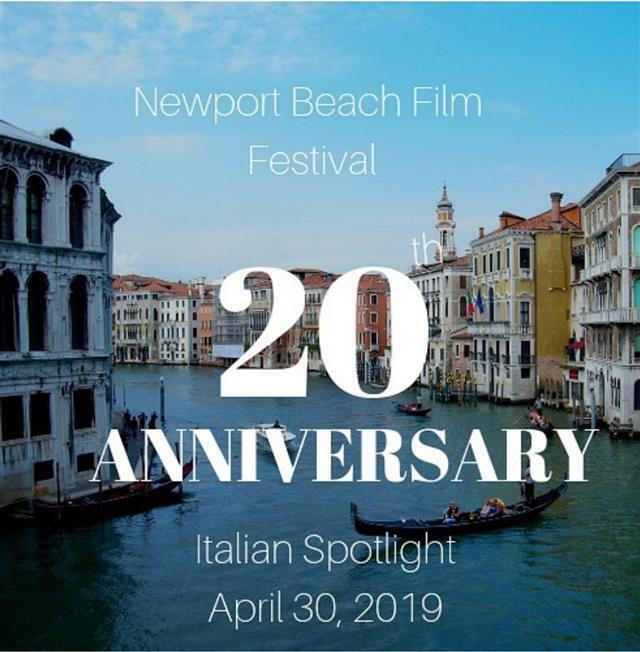 Each year the Newport Beach Film Festival presents signature international film events that spotlight cinema, culture, cuisine, music, and performances. The Italian Spotlight is taking place on April 30th. Come for the experience, stay for the fun! Follow the IAMLA's Facebook page for a chance to win a pair of tickets to the Italian Spotlight! 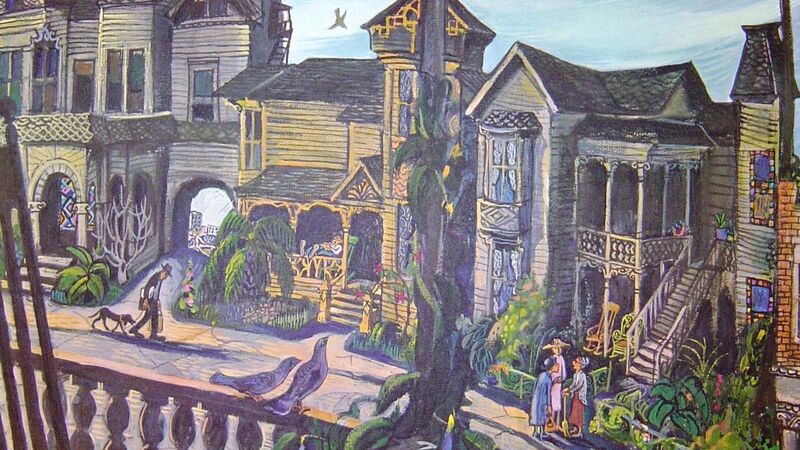 Visit Leo Politi’s Los Angeles! Leo Politi’s Los Angeles: Works of Love and Protest presents a collection of original art by beloved Italian American artist and Caldecott Award-winning author Leo Politi. Through a series of rarely exhibited works spanning sixty years, Leo Politi’s Los Angeles: Works of Love and Protest transports audiences to bygone eras—Watts in the late 1960s, and San Pedro during the apex of the fishing industry—along with forever altered places, including the forgotten neighborhood of Bunker Hill, and World War II-era downtown Los Angeles. a subscription to the Museum's newsletter. 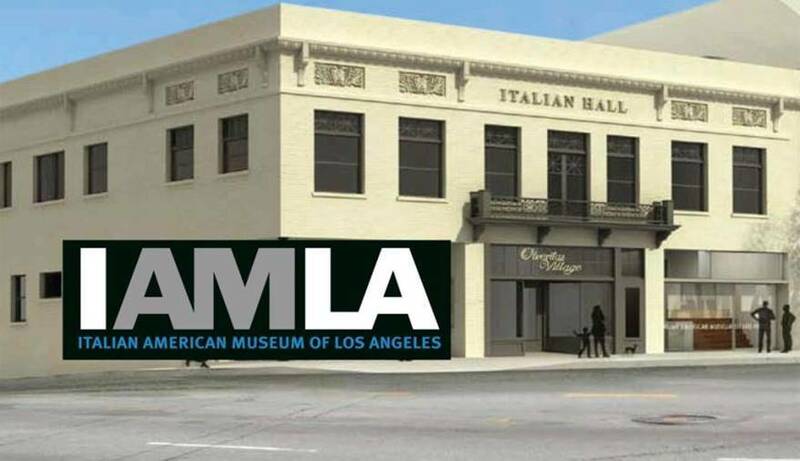 Italian American Museum of Los Angeles accomplish its mission of preserving Italian American history for future generations. 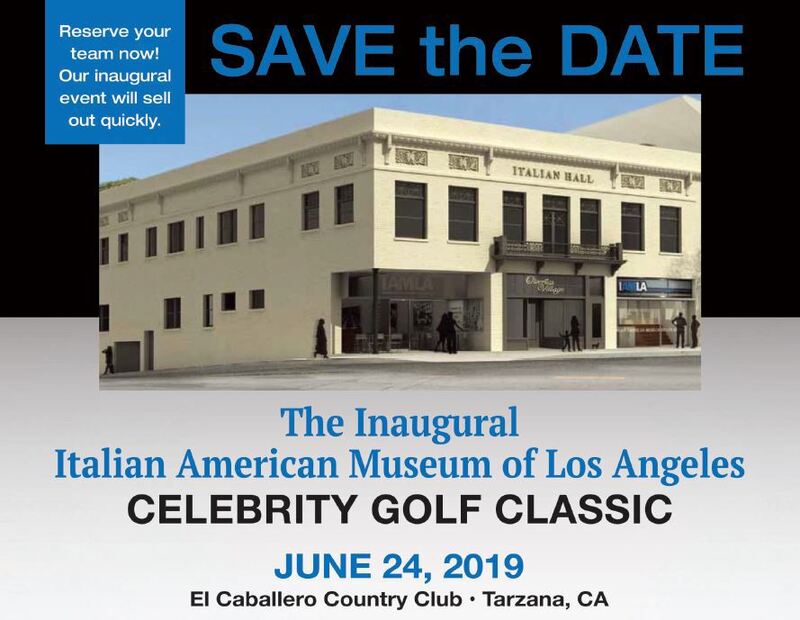 Support the Italian American Museum of Los Angeles! region, exceptional wineries, and live entertainment. Why Sponsor Taste of Italy? 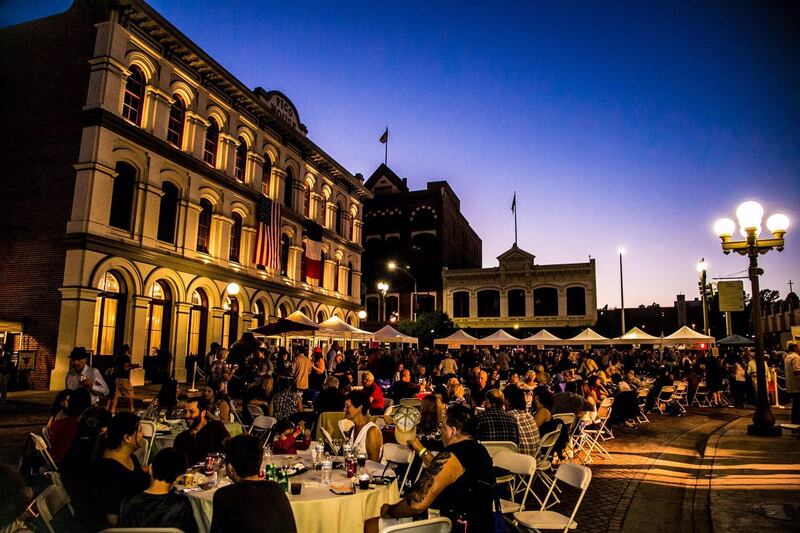 Participating in Taste of Italy, Los Angeles’ premiere Italian Food and Wine event, provides the opportunity to connect with upper-income, sophisticated, cross-cultural audiences from Southern California and beyond. Drawing over 2,500 attendees, including dignitaries, civic leaders, and celebrities, the event delivers a unique combination of excellent media value, product placement, and client entertainment options. Taste of Italy receives significant media attention, including coverage from the most-watched networks in Southern California. Through a variety of marketing opportunities, Taste of Italy sponsors receive an average of $65,000 in sponsorship value. 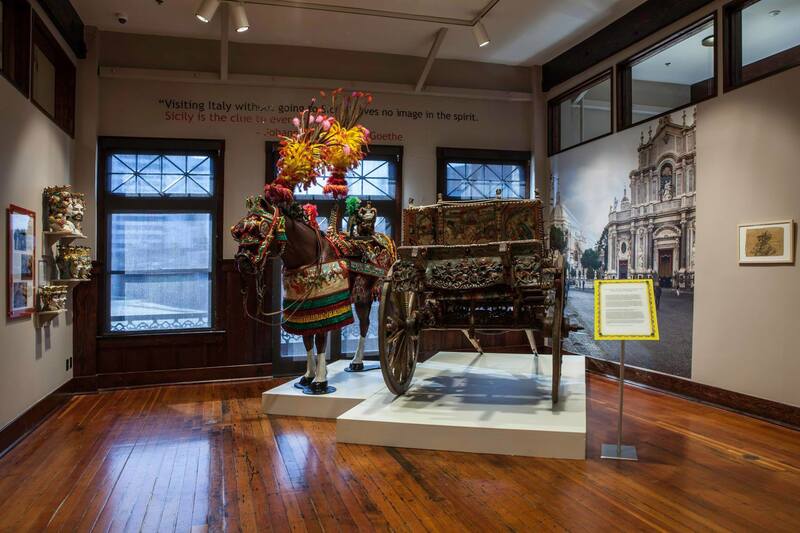 Proceeds from Taste of Italy support educational programming and other initiatives at the Italian American Museum of Los Angeles, a 501 (c) 3 charitable organization. 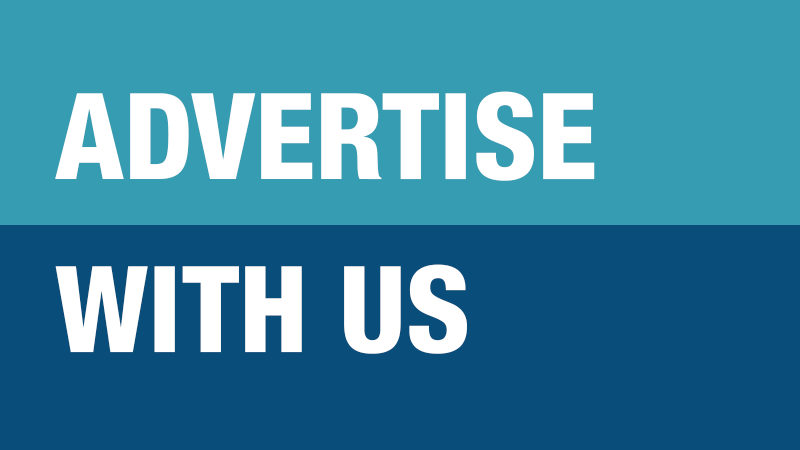 Find out more about becoming a Sponsor at Taste of Italy 2019! 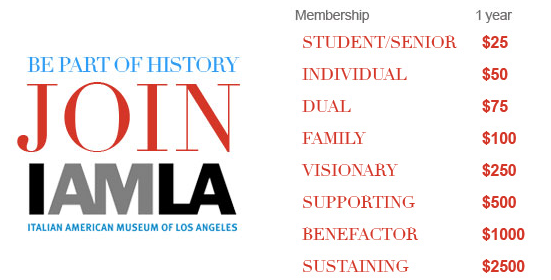 You are receiving this email because of your relationship with Italian American Museum of Los Angeles. Please reconfirm your interest in receiving emails from us. If you do not wish to receive any more emails, you can unsubscribe here.